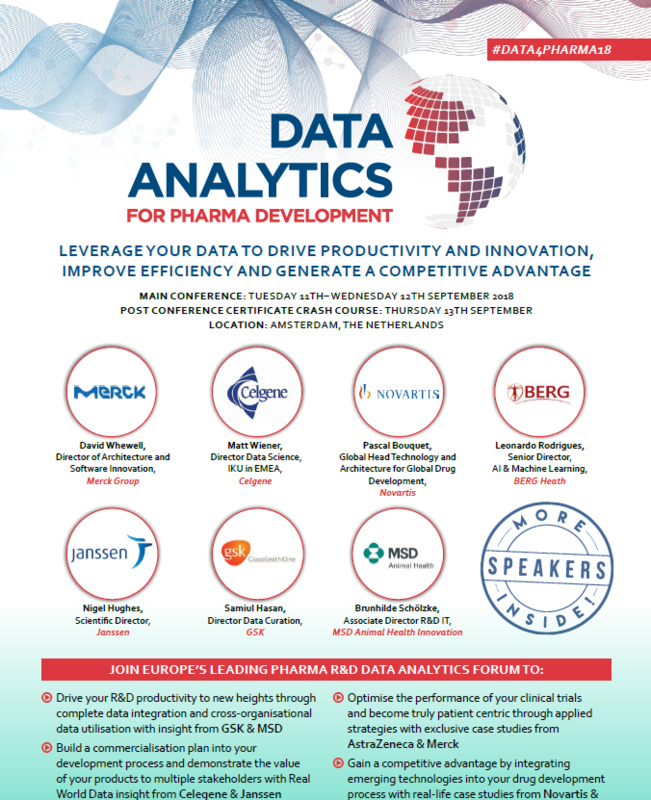 Data Analytics For Pharmaceutical Development Forum held in Amsterdam, Netherlands from 11th – 13th September is the most targeted, pharma specific platform that gives you solutions to the biggest challenges in the field of data for Pharma. Reach new heights in precision, productivity and patient centricity by joining industry leaders from key pharma companies like Astra Zeneca, Janssen, GSK, Novartis and Merck. Our expert panel will be sharing their insights in technical optimization; discussing tangible methods for data analysis and optimization, and translating this into real world insight for your company.